Who needs an overpriced florist? Just open your eyes and your mind and take a look around. 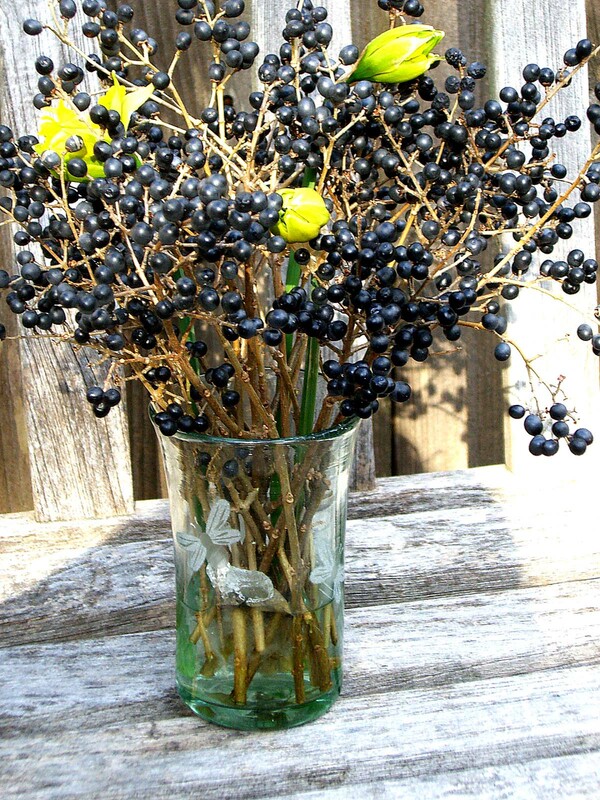 Here common hedge berries and the first daffodils of the season make a more interesting late winter bouquet than you’d find in any florist shop.